Israeli Prime Minister Benjamin Netanyahu attends the weekly cabinet meeting in Jerusalem, on Sunday, Nov. 28. Netanyahu is urging his cabinet to approve construction of a massive detention center to hold illegal migrants from Africa. 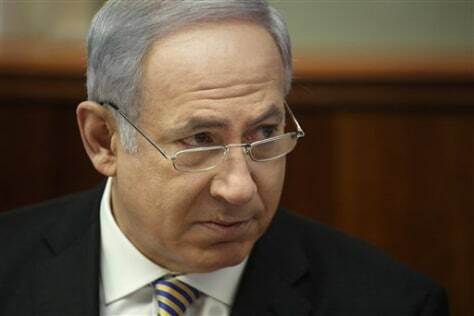 Netanyahu says the growing influx threatens Israel's Jewish character.